Your dining curiosity is piqued in the breadbasket region. 1,455 family farms mean that the many restaurants, cafes and bistros are always well stocked and freshly supplied with the tasty labours of local farmers. In the Interior region, the cuisine is inspired by local artists and artisans. You’ll discover that our chefs and bakers create palate pleasing discoveries featuring locally made cheeses and breads. A day spent kayaking the river or hiking the trails is deserving of its own rewards. Explorers in the Interior share a spectacular bottle of locally-made wine from Hoity Toity Cellars, in restaurants that are as charming and creative as the locals who frequent them. You’ll want to visit a café and put together a sumptuous picnic, perfect for an impromptu riverside stop while you cycle our country roads. Rise at the crack of dawn and celebrate a 10 kilometre hike with a delicious organic breakfast in Paisley, our quaint little village. Congratulate yourself on a day well-spent by indulging in fine dining, with food that is plated as colourfully, and as beautifully as the nature that surrounds you. Uncover some history with your meal. “WL” as it’s known to the locals, offers a unique peek into Walkerton history. Once a bank, Walker's Landing Pub & Eatery features turn-of-the-century architecture, with the original vaulted ceiling and characteristics from its early 1900’s bank days. The cool vibe is an interesting background for delicious local fare from an extensive menu. Mouth-watering burgers feature beef supplied by the Walkerton Meat Market, plus seasonal features, live entertainment and events. If fun and games along with your meal are what you seek, look no further. Inspired by the fields, forests and shores of Bruce County, 519 Table and Pour strives to offer local cuisine at its finest. The dining room boasts a sleek, contemporary design, with the bar featuring the area’s largest flat screen TV at 88”. 6 diamond pool tables beckon, for after dinner entertainment and perhaps a libation or two. Looking for fun adventures along the Saugeen River? Visit here. Harleys Pub and Perk gives you the best of both worlds. The name “Pub and Perk” separates the restaurant into 2 sections, the Perk being a bright and cheery café at the front of the store where guests can enjoy Harley’s famous baked desserts, a cup of coffee, or a delicious breakfast. Take a step out of the Perk and you enter the “Pub, where every hour is happy hour". 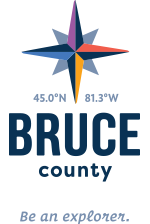 A pool hall sits adjacent to the dining room, and in true Bruce County fashion the arcade game “Big Buck Hunter” sits at the end of the restaurant. When it comes down to it, the food makes or breaks your visit – and the food did not disappoint. An in house concoction created by one of their chefs called the Dreamwich was one of their most popular menu items. Fried Chicken, thick cuts of bacon covered in cheddar cheese and sweet thai sauce topped with a garlic buttered bun really does sound like a dream. Dont forget about dessert!! The butter tarts are famous for a reason, they’re made fresh every morning - at 5 am! No wonder they're so ooey, goey and delicious. Whether you’re stopping in for a delicious breakfast, lunch, or a late night dinner, Harleys Pub and Perk is the place to be.